Does it feel like you've gone through an entire store shelf of creams, serums, gels, and other treatments claiming to reduce your wrinkles? At best, you may have seen minimal results. At worst, these products may have created new problems, such as spots, irritation, and redness. By no means do you have to live with your wrinkles. Just because these store-bought products haven't resulted in the outcomes you wanted doesn't mean there isn't a wrinkle reduction treatment out there for you. One of the better-known treatments on the market today is Botox. One of the drawbacks of being so well known is this effective wrinkle treatment is plagued by misinformation. Namely, there exists a general fear that Botox will inhibit the ability to make facial expressions. You may hesitate at the thought of Botox because you don't want to look like those "frozen" movie stars seen in the tabloids and on TMZ. Botox has been unfairly maligned in some respects due to the rise of dubious practitioners. 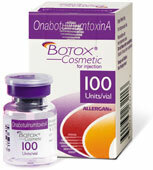 It is important that a professional such as Dr. Douglas Blose administer your Botox. It is also important that this treatment be provided in a professional setting. A professional treatment demands a professional environment. Like many dermatological treatments, the success of your sessions and the natural appearance of the results will depend on the technique of the person administering it. Again, it's critical you leave the appearance of your face and your overall health in the hands of a medically trained professional with lots of experience with Botox, as Dr. Blose has. After all, a substance is being injected into your face. Why leave that to just anyone at a party? While Botox has been approved for the treatment of medical conditions such as uncontrolled blinking and esophageal spasms, and for cosmetic purposes it has been approved to treat crow's feet and frown lines between the eyebrows. As a neuromodulator, Botox goes to work by keeping the muscles that produce those expression lines from contracting. A muscle that can't make an expression can't create a wrinkle. In turn, the skin looks smoother and less wrinkled. There is no need to fear "frozen" face partly because any effects are limited to the treatment area. You can still express surprise and joy, and a wrinkle-free face is reason to be joyful. Too much Botox may be to blame for the rather botched looking faces you may have seen in the tabloids. This is another reason why you need to turn to a professional for wrinkle reduction in Downey. Dr. Blose may also suggest other treatments such as dermal fillers and chemical peels.